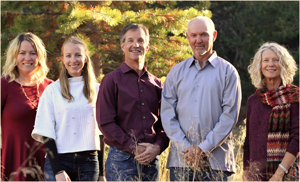 Home > Testimonials > James & Sarah B.
Matt was able to quickly and efficiently bring us up to speed on the Tahoe Donner market, including all of the intricacies of the Tahoe Donner community. He knows the market inside and out, and not only had answers to all of our questions but clearly had encountered our questions and concerns many times before. He guided us through each step of the negotiation, inspections and financing, and provided great contacts for all of the ancillary services required to purchase a home. After we closed, he has helped us coordinate a number of clean-up and fix-it items around the house, all of which would have been significantly more difficult to coordinate remotely. He truly is a professional in every sense of the word.